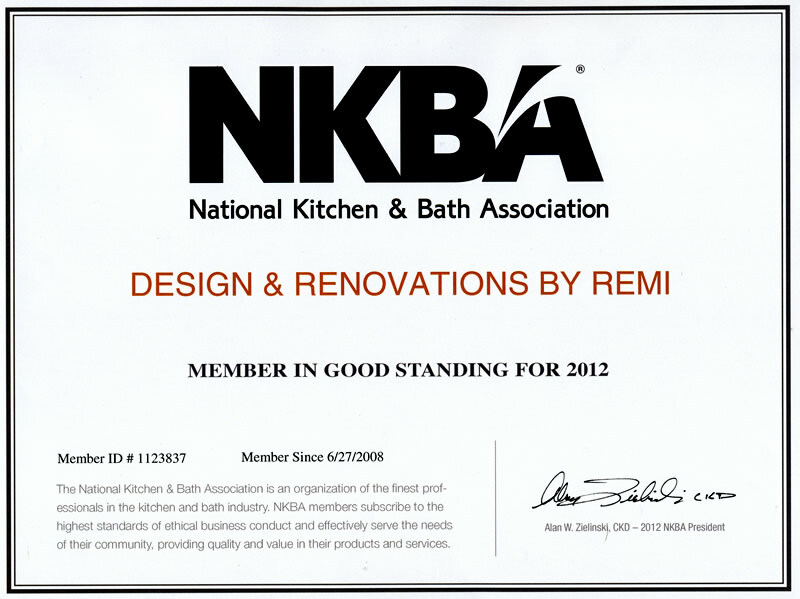 We are a member in good standing of the National Kitchen and Bath Association, and hold certificates as a Certified Kitchen Designer (CBD) and a Certified Bathroom Designer (CBD). Have a minimum of 7 years experience designing residential kitchen spaces. They are highly skilled in design, space planning and product selection and have extensive knowledge of building codes, flooring materials, appliances, and mechanical systems. 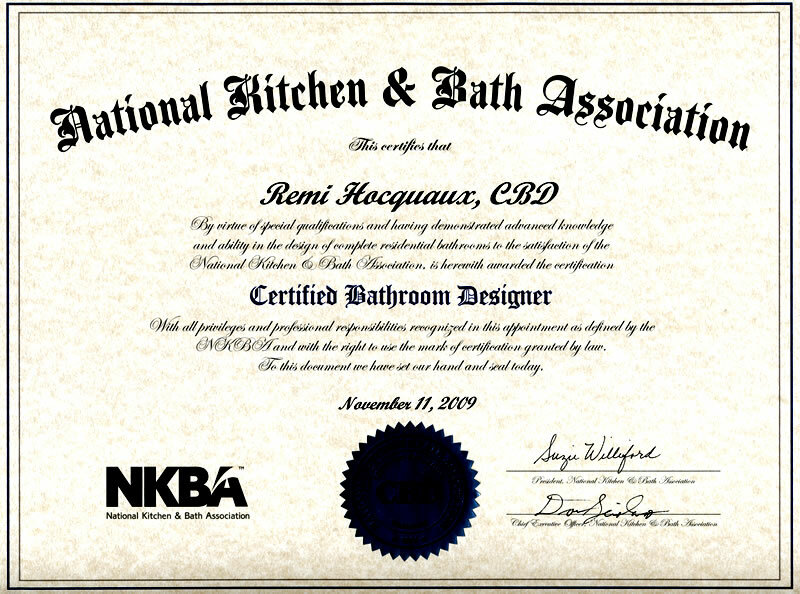 They write specifications and draw plans that are easily interpreted by plumbers, electricians, and installers. A CKD must meet specific educational requirements and pass a comprehensive academic and practical exam. Have a minimum of 7 years experience designing residential bathroom spaces – they are highly skilled in design, space planning, and product selection, and have extensive knowledge of building codes, fixtures, flooring materials, and mechanical/plumbing systems. 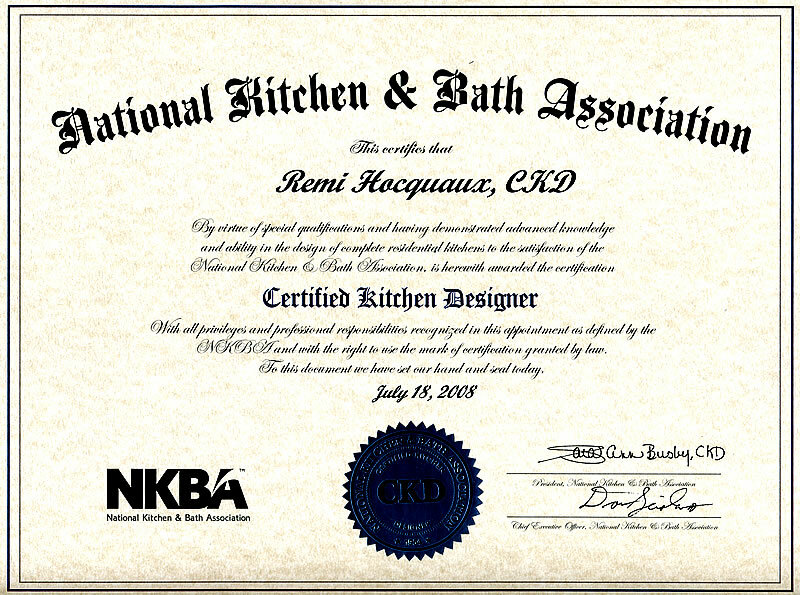 They write specifications and draw plans that are easily interpreted by plumbers, electricians, and installers. A CBD must meet specific educational requirements, as well as pass a comprehensive academic and practical exam. 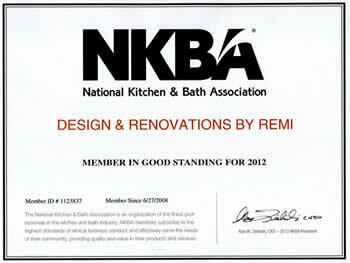 Our NJ Home Improvement License is #13VH04575600. 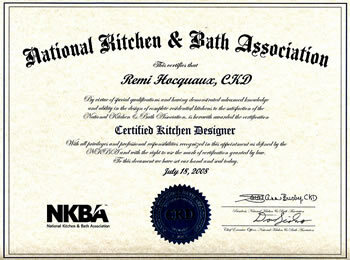 Our Pennsylvania Home Improvement Contractor License is # PA067260. We are fully insured and bonded to assure your confidence.